July 2002: Slav talks of the inspiration behind his music. So Slav, you are Yugoslavian - but live in Canada. What brought you to make such a big move? When I was in Serbia I had a band called "Bride". We played clubs, guitar festivals and received radio airplay. We were one of the most talented bands in the country but the music that we played wasn't receiving the attention that we expected. At that point I decided to relocate to Canada in order to pursue my musical career. Has it paid off for you - are you happy in your new home? I came to Canada in December 1994 and a few months later I began teaching guitar at the New Conservatory of Music in Toronto. At the same time I started my own teaching and recording business, Bride Music Studio. Canada is a great place to live. I made many friends, music collaborators and met prospective Mrs. Simanic here. I am happy that I was able to continue my musical career here in Canada and write and record my music. This is your second album - your first was an excellent (mostly) instrumental album. Were you happy with the sales and results the Water Of Life album? Not so many people know that in 1993 "Water Of Life" was the best song of the year on one of the most popular Serbian radio station "202" and it's show "501". One of the reasons to relocate to Canada was to complete recording the material that I already had. A few years later after I moved to Canada, I built my recording studio and started working on my debut album "Water Of Life". In 1998 the album was completed and released on my own label "Later Rain Records". In November 2000 the album was re-released with two bonus tracks in Japan and South East Asia on "Marqee Avalon" Record Label. This year "Water Of Life" will be released in Europe on "Now and Then/Frontiers" Record Label together with my second album "Let It Go". "Water Of Life" has received great reviews, international attention, airplay and distribution. Releasing "Water Of Life" was my dream come true and everything that followed confirmed that I did the right thing when I believed in this project. When did you make the decision to make this record a vocal album? Beside writing instrumentals I also write vocal songs. 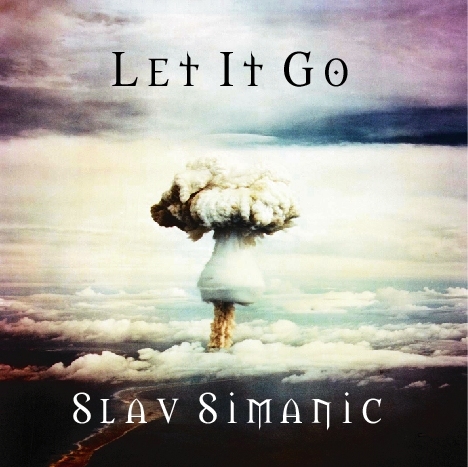 Some of the songs on "Let It Go" were written about ten years ago and I thought that it would be nice to put them on my new album. bassist Zsolt Henczely and drummer Morgan Evans so the band line up was complete. You have picked one great vocalist to work with - was there any other singers lined up to participate, or was it always going to be Phil Naro? One of the reasons why some of the songs that I wrote a long time ago were never recorded was because I couldn't find the suitable singer. When I first heard Phil sing live I knew that he would be the singer on my album. We started our collaboration on "Water Of Life" and continued it on 24K's "Pure" and "Mark St. John Project". I must say that Phil also contributed some great melody lines in a few songs of the album and his voice definitely was one of the highlights on "Let It Go". Of course Phil Naro is a popular guy within the scene - how long have the two of you known each other? A few weeks after I came to Canada I met Phil at one of his shows here in Toronto. Since then we were in touch. Your lyrics and theme's are often religious in theme - is it important for you to portray any personal views within your music - or is it more portraying a positive message within the songs? I have several goals for my original music: to celebrate the Lord, to spread positive Christian messages, and to encourage young musicians to abstain from drug use. I find the inspiration for my music in God's precious gospel which was the source of inspiration for J.S.Bach, G. F. Handel and many other great composers that I admire very much. The album "Let It Go" was made as a result of my exploring the Holy Scripture and experiencing the message that it carries. I think the songs are very positive and I congratulate you for that! Are you working on any other projects you would like to tell us about? I'm in the process of preparing material for my next projects. Both instrumental and vocal albums. Any particular favourite songs on the album Slav? Every song on the album is my little baby so they are all equally loved. How would you describe yourself - for someone who is new to your music and your songs? The person who loves and believes in what he is doing. Would you mind describing each track briefly for us? The album opener that creates an ambient of THX-like sound check that we can hear in movie theatres before the movie starts. In such ambient created by: Spoken Word Quotes taken from the Bible (Rev 4:8,11) and Guitar motif played with use of digital delay...the song sets the mood for the whole album. It can be visualized and the action can take place right in front of our eyes. The Album title song. It is about a person who can't find his place among Christians because of his long hair etc. and the rock music that he plays. Also he can't find his place among the rest of the World because of his attachment to the Gospel. The song starts with very catchy guitar riff and continues with a very melodic and hummable vocal line. Fast Heavy Rock song. Describes the moment of ascension. Starts with powerful guitar riff and intro theme. Like most songs on the album it has the main solo and fade out guitar solo. God Father talks to a person (that symbolizes each one of us) how much he means to Him and what was done (The plan of salvation, Jesus' sacrifice...) for his (our) salvation. The song starts with nylon string classical guitar intro and changes into fast hard rock song with neo-classical elements. Love song. Describes the love between God and man. Fullness of the life can be achieved only through unity with God. "Out of sight is out of mind people say But my lonely heart dies every day..."
We often ask ourselves where He is when we need Him but we forget that we live and breathe through Him. "You came along and You picked me up when I was so down..."
It is about a person who experienced healing of his heart after he met God. Very optimistic song with catchy guitar riff and vocal line. Rock ballad. Starts with finger picking acoustic guitar. Hummable vocal lines and guitar fills with delayed guitar to give the song a fresh sound. Hard Rock song. God invites a person to give up his old self and walk along with Him... Catchy intro Riff makes you want to listen to the end. One of the instrumentals on the album with two parts. I felt that it would be cool to split the title (with ...) instead of putting part 1 and part 2. As the title says it is about those who consider themselves disciples of the Almighty God. Opening guitar riff sounds very powerful and the main theme is melodic and energetic. It is about a person who starts to recognize and walk in the light which symbolizes Jesus. "... I'm beginning to see the light now that He's given me second sight..."
The story about Satan who betrayed everything that was given to him. He was given the fullness of love and he answered with the fullness of hate. He was given the fullness of responsibility and he answered with the fullness of irresponsibility. As great as God's love is as much as Satan's hate. Satan is a cause of all suffer in this world and this song reveals that. Thanks for your time Slav, is there anything you would like to add? I would like to take this opportunity to thank everybody in Melodic Rock for taking interest in my music. I would also like to send my regards to those who support me and have taken time to read this interview.